West Jakarta Government accelerates in making Waste Bank Unit (BSU) in 586 RWs. All RWs in West Jakarta are targeted to have BSU before Adipura second assessment in end of February or early March.
" 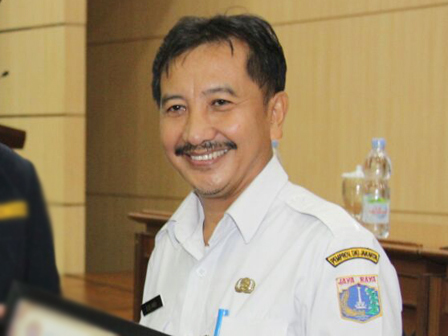 West Jakarta Government is optimistic to reach Adipura Award by making BSU in each RWs"
West Jakarta Secretary, Eldi Andi said, based on waste bank electronic system data, there are 405 BSU has been made or around 69 percent from total target 586 BSU. He added, currently it is only Tamansari Sub-district that have BSU in all of its RWs. "Tamansari Sub-district has 60 RWs and owned 60 BSU. That means it has reached 100 percent," he conveyed, Wednesday (1/31). Meanwhile Kembangan Sub-district has made 60 BSU of 63 RWs or reached 95 percent. Palmerah Sub-district owns 54 BSU of 61 RW, Kalideres Sub-district owns 55 BSU of 75 RWs, and Grogol Petamburan owns 44 BSU of 75 RWs. Cengkareng Sub-district owns 49 BSU of 86 RWs, Tambora Sub-district owns 52 BSU of 96 RWs and Kebon Jeruk Sub-district owns 31 BSU of 70 RWs. He targets to make BSU in each West Jakarta's RW and hopefully it could be realized 100 percent until end of February. "West Jakarta Government is optimistic to reach Adipura Award by making BSU in each RWs," he affirmed.